Why do we find it so difficult to allow the full expression of who we truly are and how we really feel to flow freely into this world? Why is the Self-expression we desperately wish to convey so often stifled, diluted and suppressed by the paralysing fear of how it may be received or interpreted? One of the most valuable learnings to cultivate in life is the ability to understand, interpret and articulate the wisdom that moves through us from our experiences and the inner voice of our truest Self. 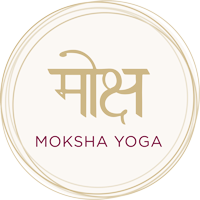 The ancient traditions of Yoga recognise Sṛṣṭi as the essence of Divine Consciousness that comes into form through the unique creative expression of our being, and so when we are unable to fully express the true nature of the Self and the flow of this life force is blocked we tend to feel imprisoned or obstructed from moving forwards. Our final Yoga Intensive for 2018 will focus on rebalancing and clearing the Viśuddha chakra, the main energy centre responsible for Self-expression, where the journey towards Self-realisation and Self-knowledge truly begins. The Viśuddha chakra is the gateway through which our consciousness rises to a higher level and leads us into the realm of wisdom and clarity. As the practice moves the healing energy of Prāṇa through this area of the subtle body we will restore balance, flow and power to our Self-expression of divine wisdom, while releasing the Saṃskāras that have blocked this pathway to experiencing and expressing our true essence – our Sat – in the past. Join Emma Palmer for an empowering and liberating journey to reconnect with your inner voice so the fullest expression of who you are can find the light again; bringing to life the sacred Yogic teachings of Sṛṣṭi through a carefully crafted Krama of Āsana, Prāṇāyāma, Mudrā, Dhyāna (meditation), Prārthanā (prayer), Mantra (chanting) and a guided Śavāsana of sound healing.